Oxglen Vacation Rentals, at 2800 foot elevation has Blue Ridge Parkway views. Only twenty minutes away from OxGlen Vacation Rentals. "In the heart of the mountains - minutes from the rest of the world"
Are you looking for the perfect vacation? Do you want to be close to major attractions like the Biltmore House, golf courses and ski resorts? Do you want to go hiking, enjoy the Blue Ridge Parkway and other Western North Carolina sites? Yet do you still want to be in a country setting? Ox Glen Vacation Rentals is the choice for you!! Ox Glen Vacation Rentals is located on a thirteen acre mountain retreat, 15-20 minutes north of Asheville, North Carolina, and a short 10-minute drive from Weaverville, NC. 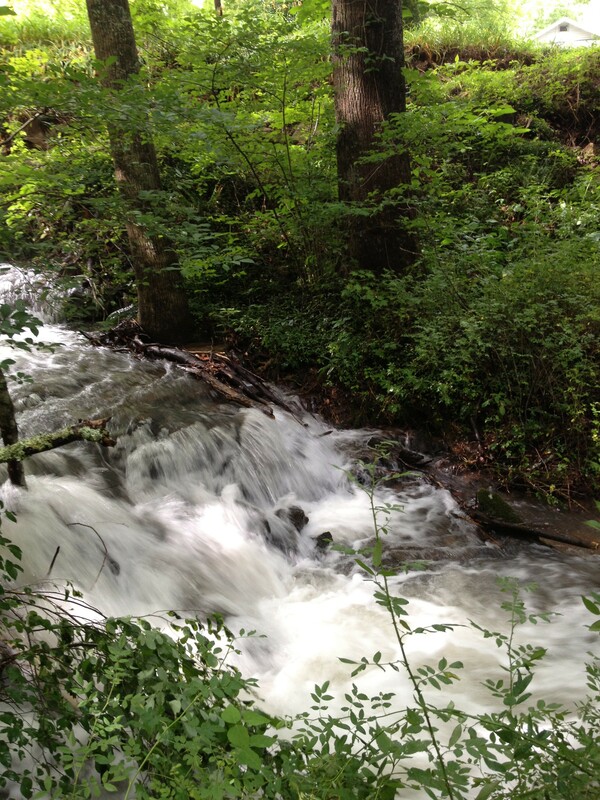 We are located only 2.2 miles off the Blue Ridge Parkway on a state-maintained paved scenic road. Ox Glen features treetop chalets, a private 3 / 3 cottage, with hot tub and access to the Blue Ridge Parkway. We are located just three miles from Reems Creek Country Club, a premier mountain golf course, and 30 minutes from Wolf Ski Resort. Hike through our laurel groves and hardwood mountains, or relax on your private deck at your lodging or attend family special events at nearby venues such as Blackberry Fields or Claxton Farm. Ox Glen offers Asheville accessibility with mountain privacy for the perfect get-a-away. Do you like to bring your pets on vacation? 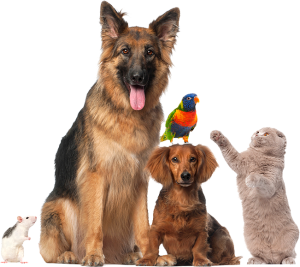 We love our pets as much as we love our guests so we encourage you to bring your family pets with you on your vacation. We are a pet friendly vacation rental. My new bride and I stayed at Pinecone for our honeymoon this week. The cabin was beautiful, especially the cozy living room. Everything was clean and well laid-out. The property is lovely and our cabin felt very secluded. We appreciated the location, which was private, but located near the Blue Ridge Parkway. The drive down into Asheville each day was lovely. . . .
We totally enjoyed our stay at Pinecone at Ox Glen. Although it was for only a few days, we had all the comforts of home, nestled in the woods. There was such a feeling of peace and seclusion and yet we were so conveniently located near everything we wanted to see. It was the best of both worlds. At night, we enjoyed watching the sky by the light of the full moon and drinking in nature and all it's marvelous sounds. We will look forward to our return. Marianne was very helpful and everything was just perfect. The cabin was very clean and smelled so fresh. We'll be back.